The Athens Village. 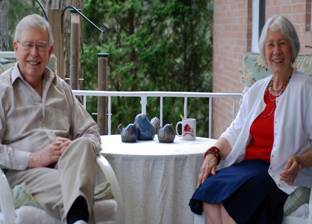 Working together to remain in our own homes as we age. Working together to remain in our own homes as we age. Learn how to increase your awareness of balance, and prevent falls. Falls Awareness program by TAV intern Mary Moody. Tai chi for Balance with Barbara at 10:30 and 11:30. FINAL session on 4/26. Free and open to the public. Do you need a refresher on your phone, computer, or tablet? Wondering what kind of device to get next? The final TAV Tech Fair will be Fri., April 12. We would love to see you, your device, and your questions there! Please charge your device before coming. Also, you can congratulate intern Amy Shook on her graduation! Cookie donations for the volunteers gratefully accepted. This chart is a compilation of all exercise programs of which we are aware at this writing (May 2018) in Athens County. The chart is arranged by day then time. Phone numbers are included in the chart. It's a good idea to call before you go. In short, The Athens Village is a group of neighbors working together to help each of us age gracefully in our own homes. To see membership benefits, please click here. To see a 2015 student-made short (1 minute 18 sec) video about the Village, please click here. The video doesn't work in all browsers with equal success. Enable members to live independently, comfortably and safely in their homes. A dynamic, responsive community of members who support meaningful and fulfilling lives for one another. Research, including that of insurance companies, has shown that people are much better off in their own homes than in assisted living facilities. 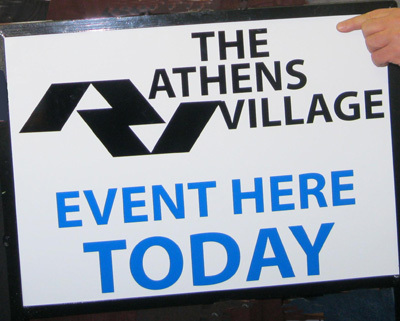 The Athens Village works with a number of local, regional and national agencies to further the interests of its members. Members can contact the Village office (740-447-0500 or TheAthensVillage@gmail.com) at any time for assistance. PLEASE leave a message if no one answers the phone. Note: unless otherwise noted, all meetings are at 94 Columbus Rd. Every Tuesday, 10:30 a.m., Chair Yoga, in the OSU Extension Office, 278 West Union St., in back. $5 donation, each session. Every Tuesday, 1 p.m., Informal lunch gathering of members & guests at Bob Evans. to the Executive Director at The Athens Village office (740-447-0500 or TheAthensVillage@gmail.com).